Today's missile, rocket, and mortar threats to our armed forces deployed throughout the middle East are severe and growing. The number one killer of U.S. troops on forward operating bases is rocket and mortar fire. Iran continues to test and deploy vast quantities of short-and medium-range missiles that are within the hundred-mile range and beyond of our thousands of men and women serving the United States military in forward operating bases around the Persian Gulf. To this extent, MDAA has submitted a brief educational paper on U.S. Army needs for protecting our men and women overseas. It is included below for your review and understanding. The ballistic missile arsenals of Iran and North Korea directly threaten U.S. bases in Iraq, Kuwait, Bahrain, Qatar, United Arab Emirates (UAE), South Korea, and Japan. In 2010, South Korea reported a North Korean arsenal of 1000 missiles, a 25% increase over the past two years. The country has also greatly expanded its uranium enrichment program. 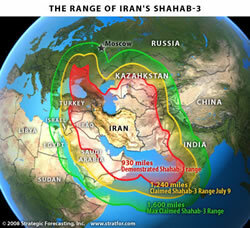 The Iranian ballistic missile arsenal is upwards of 600 missiles and growing. In July of this year, Iran tested 14 missiles at the same time, proving the coordination and salvo/raid capability to overwhelm U.S. and allied defenses. Moreover, the rocket and mortar attacks against forward operating bases in Iraq and Afghanistan remain the number one killer of U.S. deployed soldiers. Long-range ballistic missile programs are being developed and tested by North Korea and Iran with potential capability to strike as early as 2015, as stated in congressional testimonies by the current administration. In addition, Israel remains threatened by short-and medium-range ballistic missiles from its neighbors in the region; the United States has a responsibility to defend Israel. Patriot Advanced Capability (PAC-3 and PAC-2): Anti-aircraft, anti-cruise, anti-ballistic missiles of short-and medium-range for terminal-phase intercepts that uses tracking and fire control radars. PAC-3 uses hit-to-kill kinetic energy intercept technology while PAC-2 uses blast fragmentation technology. Terminal High Altitude Area Defense (THAAD): Counters high volume short-and medium-range ballistic missiles and operates with X-Band radar tracking and fire control to destroy targets in the terminal and late-midcourse phase using kinetic energy technology interceptors. PAC-3 and THAAD launchers and radars for the soldiers' hands-on training at the Air Defense Artillery (ADA) in Fort Sill, Oklahoma. A fully integrated, tested, and deployed "system of systems" that can link fire-control and sensing information across the different defense systems throughout the theater. This would multiply the force of all deployed sensors and shooters in the region against air-breathing threats and ballistic missiles. Riki Ellison one of the top Missile Defense Experts in the World, is Founder and Chairman of MDAA. He has more than twenty five years of experience as an advocate for the Deployment and Development of a Missile Defense System for missiles of all ranges.